Now more than ever, your network is the backbone of your organization. Workers need to accomplish their tasks from virtually anywhere. When out of the building, your staff needs applications to respond fast, and they need to access data quickly. A traditional infrastruc ture simply doesn't have the capability to allow workers to function efficiently. 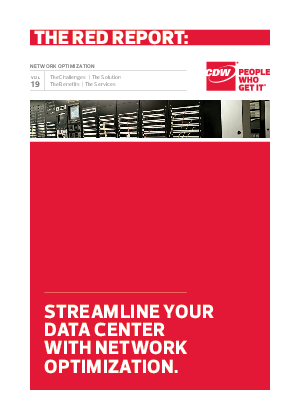 Give your workers the flexibility and reliability they need with network optimization. We can help you implement a solution that's right for your organization. From server virtualizationto mobile and cloud computing, we've guided organizations like yours through the process of implementing a network optimization solution for their IT needs.